All packed and heading to Australia to the International Astronautical Congress where this company will deliver more than 20 presentations from their representatives. Board members and experts from all companies within the Bremen-based space and technology group OHB SE are traveling to Adelaide, Australia, to attend the International Astronautical Congress IAC at which space agencies, the space technology industry and also scientists will be present in large numbers. 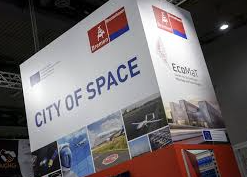 The organizers have accepted more than 20 presentations from representatives of the OHB SE subsidiaries OHB System AG, MT Aerospace AG and Antwerp Space. They are accompanied by future Earth observation systems and new approaches in telecommunications, navigation and services. With approximately 4,000 participants, the International Astronautical Congress has evolved into the world’s largest annual space congress. The 68th IAC Congress is taking place in Adelaide, Australia, on September 25-29, 2017. OHB SE Management Board member Dr. Fritz Merkle said that intensive sharing across their industry particularly on future issues and technologies will help them to determine where they as a group can make a contribution and what key skills will be required in the future. Merkel continued that obviously, New Space will also be a big issue in Australia. As OHB worked on New Space projects before this term had even been coined, they consider themselves to be well positioned in this regard.